Goodbyes are never easy, especially when the going is so good. Porsche recently retired theit sports-prototype racing car 919 Hybrid after its planned four-year circuit. To help mark the end of this era we selected an especially affecting song to help Porsche pay tribute in video form to their many partners in this team. “Hurricanes” by Norwegian artist Kaspian Kornelis, who also sings and plays guitar in the indie band Stereopol, captures the pop zeitgeist of the moment with its mixture of folksy strings and acoustic strumming with a sweeping cinematic feel. 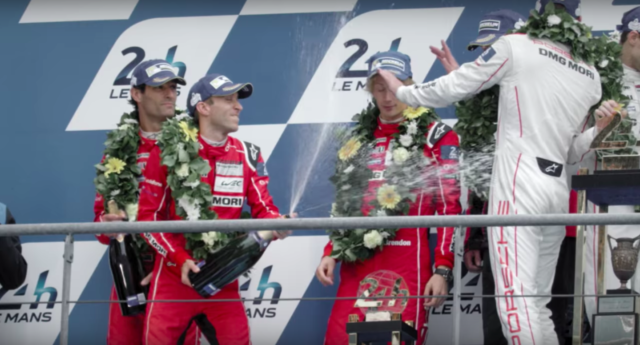 The song has proven to be the perfect accompaniment for Porsche’s film which compiles scenes of racing triumph, emotional moments, and some impressive statistics – over 400 litres of champagne consumed! – that are the result of the teamwork undertaken by Porsche’s collaborators and team members.